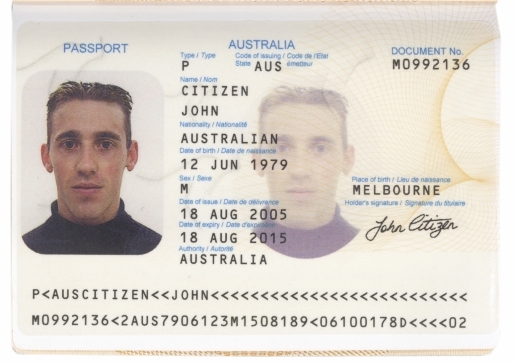 Soon, there will be a third option for genders on Aussie passports like this one. Humans are essentially a duality. There’s male and female, and that tends to be the way most people see the world/themselves. However, there are some folks that don’t quite fit in either box. For example, there’s the spokesperson for gender confusion and new Dancing With The Stars castmember Chaz Bono. She was born a woman, came out as a lesbian, then decided to become a man (though without the gender reassignment surgery). What would you consider him/her? Well, in Australia, he would have a third option. Australian passports are adding a third gender for those who don’t identify as either, called Gender X. The law is primarily to affect those who are transgender or in the process of changing sexes, the sexually ambiguous, those who were born intergender, or those who simply don’t want to indicate a gender. That’s a small, but growing, minority in our day and age. Given that there are some folks who don’t immediately identify as one gender or another when you look at them, it makes sense that they be given an assignment that they’re more comfortable with, and that might spare them a few hours’ difficulty getting through customs.